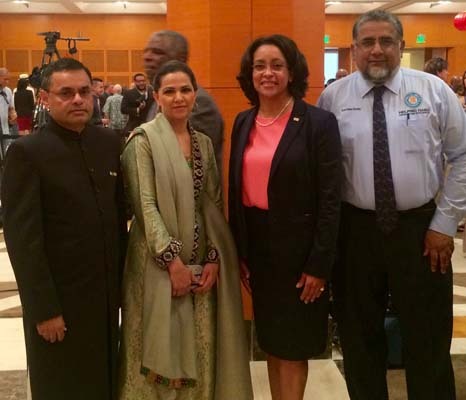 Washington, DC: Thousands of citizen diplomats, civic leaders, mayors, and members of Congress banded together to declare July 15th, 2016 as the Sister Cities International Day. 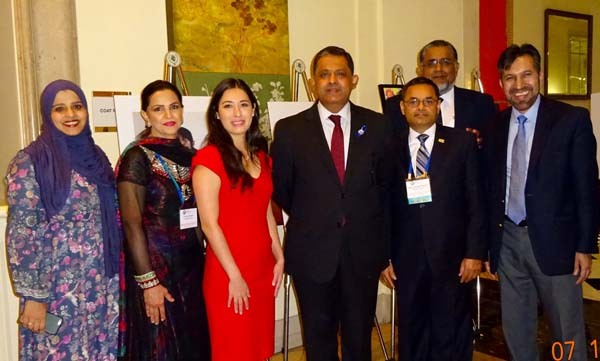 The occasion was marked by over 600 elected and municipal officials, business leaders, engaged citizen diplomats, and over 125 high school students gathering in Washington, DC for a major milestone for the Sisters Cities International (SCI): The 60thAnnual Conference and Anniversary Celebration. 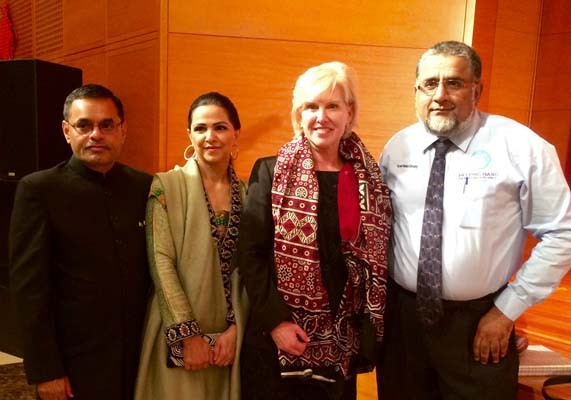 On this occasion, the Houston Karachi Sister City Association (HKSCA) received the SCI 2016 Innovation Award for Humanitarian Assistance for a city with a population greater than 500,000 for the Installation of a Submersible Water Pump with Reverse Osmosis Filtration Plant; at B-85, Block "L", North Nazimabad, Karachi, Sind, Pakistan; which is serving more than 75,000 persons a year; and this project done in collaboration with Helping Hand For Relief & Development(HHRD).This 2016 Sister Cities International Innovation Award for Humanitarian Assistance recognizes the accomplishments of outstanding community and individual sister city programs that promote peace through mutual respect, understanding, and cooperation. 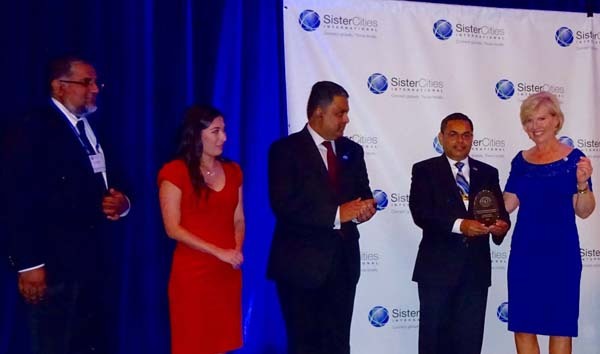 President of HKSCA Muhammad Saeed Sheikh the Sister Cities International's 60thAnniversary Circle of Distinguished Volunteers becoming the first member from any Sister Cities of Houston to be given this honor. The Sister Cities International Circle of Distinguished Volunteers was created to honor the individuals that continue President Dwight D. Eisenhower's legacy of peace through people every day in their communities. 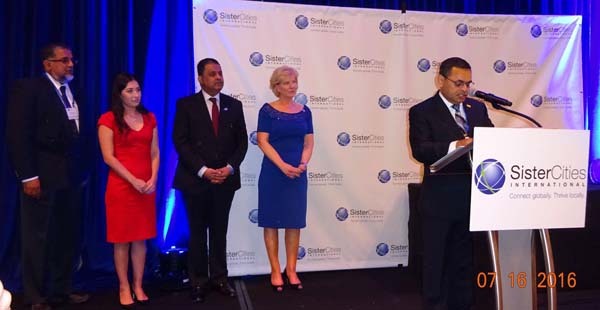 The honor recognizes these individuals for their dedication, service, and commitment to furthering the Sister Cities International mission and purpose over the years. 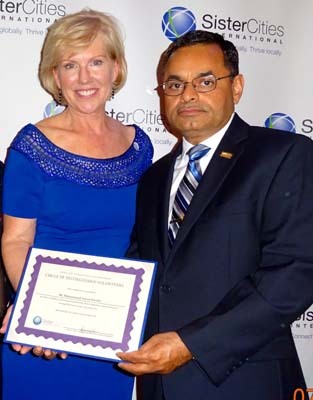 Founded by President Dwight D. Eisenhower in 1956, Sister Cities International is a nonpartisan 501(c)(3) nonprofit which serves as the national membership organization for individual sister cities, counties, and states across the U.S. 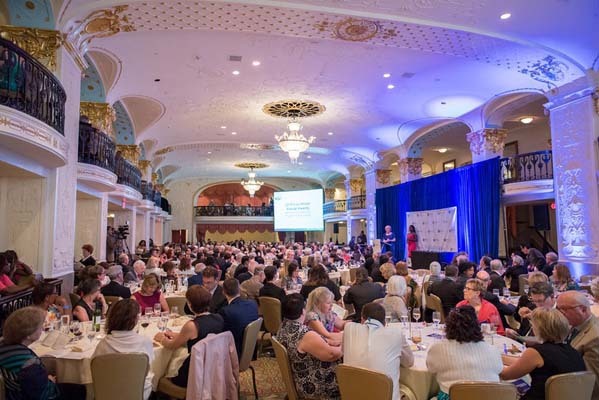 This network unites tens of thousands of citizen diplomats and volunteers in 570 member communities with over 2,300 partnerships in 150 countries on six continents.Sister Cities International was created at President Eisenhower's 1956 White House summit on citizen diplomacy, where he envisioned a network that would be a champion for peace and prosperity by fostering bonds between people from different communities around the world.